Adhesive 180° peel (N/25 mm) 1 min. Special carpet tape for all types of PVC backed carpets, and for applications where high resistance to heat, aging and plasticizers are required. 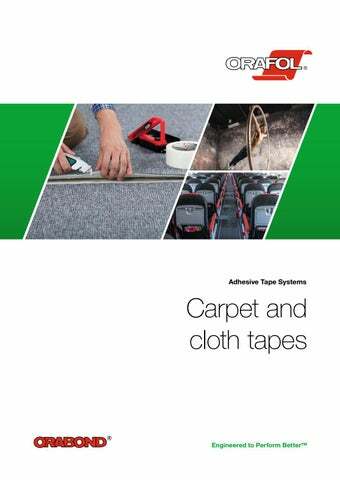 Premium carpet tape for applications where removability is paramount. This tape features differential adhesives, a permanent acrylic adhesive on the covered side and an acrylic adhesive which can be cleanly removed from most surfaces on the open side. Removable carpet tape for exhibitions and other applications requiring easy removability. The covered side is equipped with a permanent adhesive and the open side with a removable adhesive. Extra-thin double sided tape, otherwise like ORABOND® 1435, very flexible, suitable for all ordinary surfaces, also metal and wood. * Aging-resistant adhesive. Economic carpet tape for building centres and DIY applications. Premium high performance contract tape for bonding of skirting boards, dado rails, and for joining of roof and building membranes. Excellent resistance against moisture and solvent, with good aging resistance in external applications. Special flame resistant carpet tape. Used extensively in aircraft cabin seating and carpet applications. Bonds well to aluminium flooring and composite panels. Meets FAR 25.853 App. F.
Special flame resistant carpet tape, designed for aircraft carpeting and other flooring applications. 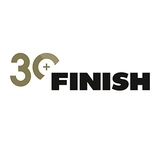 Light weight film carrier with low tack adhesive on the flooring side offering removability from aluminium and composite panels and high performance adhesive on the carpet side. Grey colour on the carpet side, ensuring low visibility of tape line. Meets FAR 25.853 App. F and ATS 1000.001. For packing, bundling, covering, protecting, marking and closing. Provides immediate adhesion. Other applications are for use as sports strapping tapes and veterinary drape tapes. *) Limited consistency in presence of chemicals inclined to migrate (plasticizers) and not recommended for marble floors.